You could easily overlook this story about cyberspace. It seldom gets told, and is often buried amidst the contested claims that the US military actually created the internet. But read on and you’d quickly realise how a small group of progressive change-seekers managed to significantly shape and influence the technology we know today as the Net. Minus much of the hype. As the Association for Progressive Communications (APC) celebrates 20 years of networking online for social justice and sustainable development in May 2010, a more complete version of its history is unfolding. By 1987, those who would go on to found the APC in 1990 knew they were creating a global network. Their focus was on connectivity and APC members or “nodes” as they were called were much like internet service providers (ISPs) — serving the non profit sector – at a time when the “internet” was arguably a disconnected set of separate government and commercial networks. APC pioneered the use of ICTs by civil society. In many countries where they operated, APC nodes (computer centres which simply picked up e-mail, forwarded it, and offered related services) were often the first providers of access to the internet. Roberto Bissio, founder of Uruguayan APC node Chasque recalls that PCs with 64KB of RAM and two disk drives of 120KB were considered “amazingly powerful” and that the two or three computers linked up to each other in 1986 in Montevideo had a combined capacity of 5MB in its hard disks. “That was much more technology than the astronauts of Apollo 11 had when they reached the Moon!” Bissio laughs. These were also times when commercial interests were not allowed into the communications field and powerful Sun computers were categorised as “military equipment” that could not be exported. “That was because the internet had been subsidised by the US government, and it was basically for the universities and for education. Whatever you did, you had to prove that it had an educational purpose,” explains Bissio. “And of course, we (APC nodes) were educating the people, so there was no problem!” he adds mischeviously. 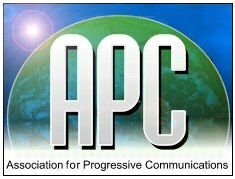 The official founders of APC are seven organisations – PeaceNet/Econet at the Institute for Global Communications (IGC) in San Francisco, GreenNet in London, IBASE in Rio de Janeiro, Nicarao in Managua, Pegasus Networks in Byron Bay (Australia), Web Networks in Toronto and NordNet in Stockholm. “My experience was that, especially in the early days, it was individuals who were strong enough to go against their organisations or boards in many cases or quirky ones [who made APC happen],” comments Mitra. “It wasn’t a grant application to raise money from the Dakin Foundation,” he says that started up the Canadian APC node. “It was an impassioned email from [node founders] Mike Jensen or Kirk Roberts on a Sunday that their computer had been stolen — by the Mounties, the national Canadian police force. Mark Graham [Peacenet founder] and I cornered Henry Dakin in his garage where he was fixing his car and talked him out of enough money to buy a replacement which I flew to Toronto with a couple of days later to avoid having to pay customs duty,” says Ardron. Technician Mike Jensen was known as Mike the Wind because he’d vanish and turn up a few days, or a few countries, away, recalls Mitra. As well as email, APC offered public and private “conferences” and access to databases. APC also connected bulletin board services —the hot technology of those times— with one another. This ensured that the discussions taking part on one BBS were available more widely in other areas and other servers. “I would open accounts on different email providers and BBSs and write scripts that logged on and picked up email or BBS articles and upload them to our conferences and vice-versa. It worked to open up the networks at a time when commercial operators were intent on keeping their systems as isolated islands,” says Mitra. From apartheid South Africa to Asian ecologists, from peace activists in San Francisco to women’s groups working in Eastern Europe, the online conferences made it easier to inform and take action worldwide. Bissio recounts how the World Bank had plans to fund some controversial dams in India. News got back to India through an APC conference, and in no time, there were online objections. The World Bank cancelled the project. “This is one of the first cases of (the use of electronic information for) global advocacy,” says Bissio. In fact, APC had better communications tools than the Bank which asked for permission to use APC conferences to distribute its own documentation. By 1990, when APC was officially founded, there were over two hundred APC conferences dealing with a wide variety of subjects. Some shared information only, while others allowed for discussions. The 1988 US Democratic Party candidate Gary Hart crafted a paper on US-Soviet relations through a conference. Friends of the Earth used a conference to coordinate a response to widespread arrests of eco-activists in East Asia. CARNet provided alternative information about Central America where wars and insurgencies were taking place. By the early 1990s, APC networks appeared to be everywhere. In 1990, the GreenNet Fidonet gateway became the first means of exchanging e-mail between hosts in Africa and the rest of the world. African civil society was officially online, thanks to APC networks. In 1992 the first UN conference to ever have an online communication centre for NGOs and UN delegates happened – thanks to APC. By September 1992, over 17,000 email accounts (individual email accounts were very infrequent – an organisation usually had one email address shared by everyone) in 94 countries were using APC networks. 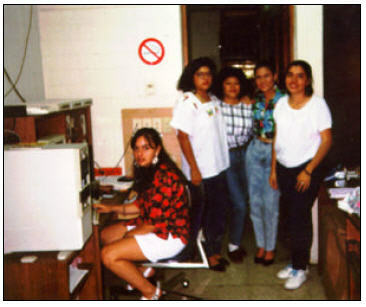 In 1993, GreenNet and APC Dutch node, Antenna, encouraged by Indian activist Jagdish Parikh worked to make real the virtual network AsiaLink, a project providing start-up funding and technical support to small hosts in Asia working with social movements in their countries. In a short while, IndiaLink, a loose-knit affiliated organisation working out of NGOs in Bombay, Bangalore and Delhi, had launched a mailing list called IL-Environment. For the first time, environment campaigners across the sub-continent-sized country got a chance to easily and inexpensively communicate with one another, share issues, and realise how similar their concerns were. “At the first INET (Internet Society) meeting in 1993, APC largely conducted a developing countries workshop and was connected to a few more countries than the academic networks were at that stage,” points out Ian Peter, founder of APC’s Australian node Pegasus Networks. Cristina was with Nicarao — one of APC’s founding members — from 1989 to 1995. “We not only provided communications services but also offered training to NGOs in Panama, Costa Rica, Honduras, El Salvador and Haiti,” she recollects. Elsewhere, the impact of these cheap almost instantaneous connections was also being felt. But communication and travel costs were extremely prohibitive. Vrana recounts that just to fax a document could take an entire Eastern European monthly salary. “Without electronic communication (primarily email, but FTP and gopher were big too) these organisations would not have been able to work together and put in place many of the efforts that helped lead to radical reform on behalf of the environment, women, and other vulnerable groups in their countries,” she adds. APC node ZaMirNET in the former Yugoslavia was essential to helping women activists for peace connect during the conflict in the Balkans, Vrana says. In Brazil thousands of Brazilians had gone into exile during the military dictatorship which ended in 1985. Carlos Afonso (who has been called the “Father of the Brazilian Internet” and was APC’s first chair) and fellow activist Hebert “Betinho” de Souza observed the growth of computer networks in Canada. On their return to Brazil they set up APC node Alternex. In the 1990s most social activists in Brazil had their email at alternex.apc.org. “I believe APC played a much larger role in the evolution of the internet than most commentators and historians have mentioned. That’s because the origins of the internet and how it came to be are largely misunderstood — something I am trying to address at www.nethistory.info,” he says. Professor Peter Willetts appears to agree. In his lecture Who really created the internet? 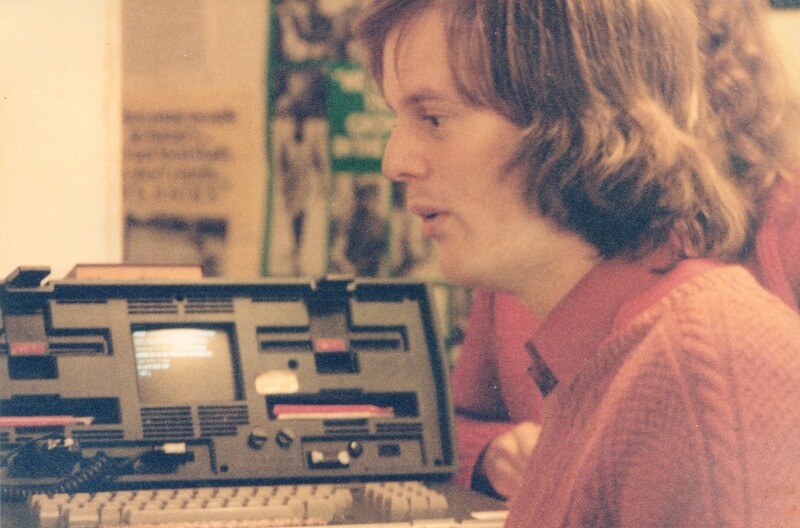 given at the City University, London, he argues that the pioneering work of APC in the mid 1980s was instrumental in establishing the internet as a public and open platform for global communications and that the decisions taken by APC co-founders Mark Graham and Scott Weikart at Peacenet in the USA and Mitra Ardron at GreenNet created an open network, years before the first web page was written. Thanks to these people and their non-profit organisations the world has an internet that is radically different from the one that governments or transnational companies would have created, he says. Frederick Noronha is a freelance journalist based in Goa, India, and co-founder of APC member Bytes For All. He got early access to cyberspace, thanks to APC’s work in India. Karen Higgs is APC’s communications manager. When APC celebrated its tenth anniversary she had just joined the network as web editor. Like others in APC’s virtual staff team she works from an office in her home, in Montevideo, Uruguay. Image 1: APC’s first logo: APC’s first logo circa 1995. Image 2: Mitra Ardron of GreenNet in 1987. Image 3: Cristina Vasconi of Nicarao, seated.